Cleaning out the snaps from the mobile (Blackberry) in anticipation of the iPhone 4 with the loveable Siri. That and a few others on my computer I’ve recently collected. And here they are. This one I think I got from The Sartorialist. I call her the “Irish Princess.” What a beaut. That hair color. And the classic style. I’m in love. 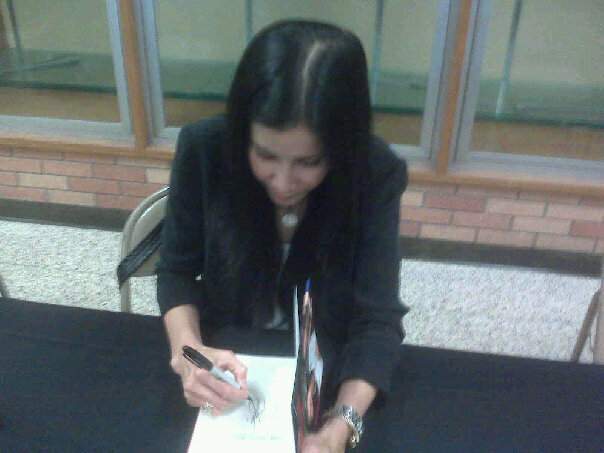 Lisa Ling signing for me a copy of her great book Somewhere Inside that she co-wrote with her equally becoming sister Laura. I probably could have snagged a pic with her. I flaked out. Dammit. The marquee from Chicago’s great Double Door. About 10 years or so ago that marquee read “The Rolling Stones” when those boys did a show there. 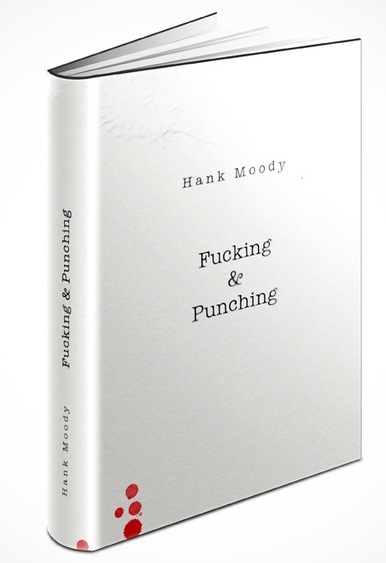 And here’s what I think would be a great read from Californication‘s Hank Moody. 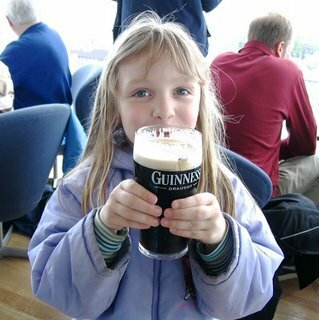 This pic is from the future – Liffey’s daughter? 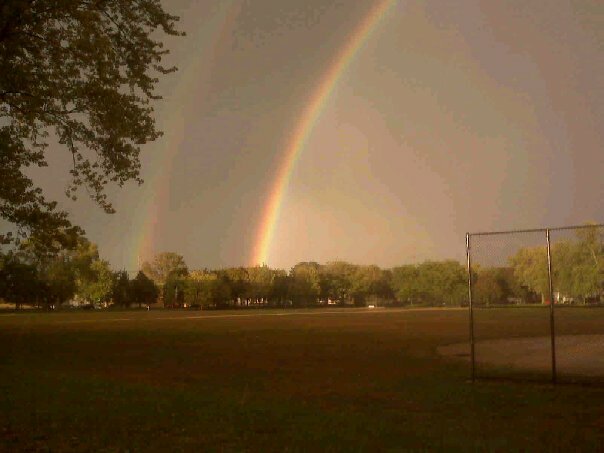 A double rainbow, Chicago’s far south side.